​You know Albert Casanova ? (seen here on the left chatting behind the rock with Ronald Garcia). 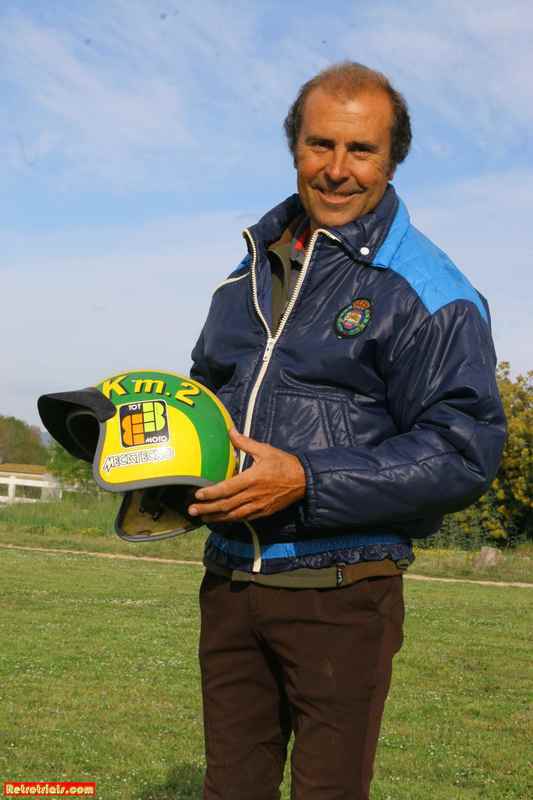 Albert Casanova became the Worldwide sales director for GasGas after Andreu Codina left the same position at GasGas and went to work with competitors Sherco. 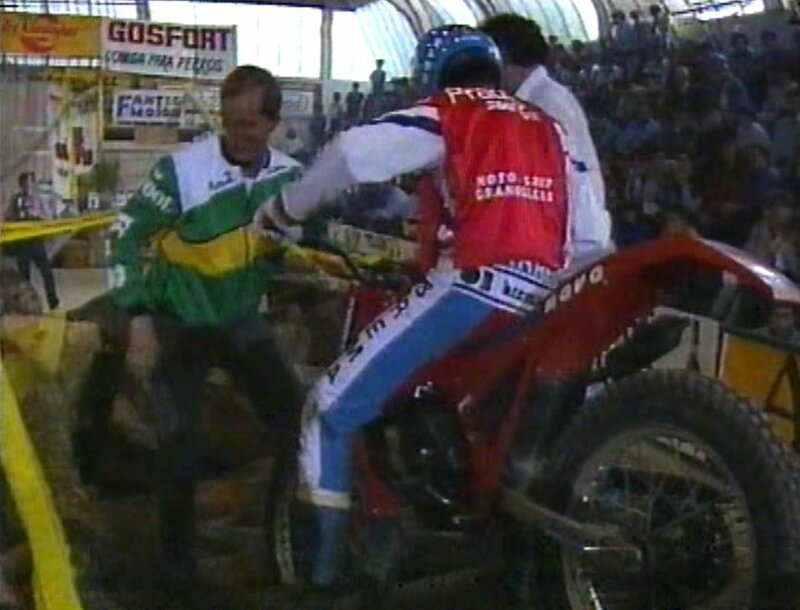 This photo is one of many taken by Retrotrials at the time of GasGas's take over. The majority of the bikes seen here in the companies "museum" have been sold off. The story of the Alloy Framed GasGas Halley pictured here can be found elsewhere on this site. Then at the competitions when the magazines make a picture of me if the pictures show the label Tot Moto on me, he pay me more money and so I go to the competitions and then afterwards go and buy the magazines and then make the cuttings from the magazines and go and collect some money from Tot Moto ha ha ha. It works very well and then some time he say I cannot see this logo very good, I cannot see you Tot Moto. wow. I went to talk more, told to get this business from them in these years, I have no choice but to go, I look for sponsorship myself, it will never come to you, you have to search for sponsorship, let's go. 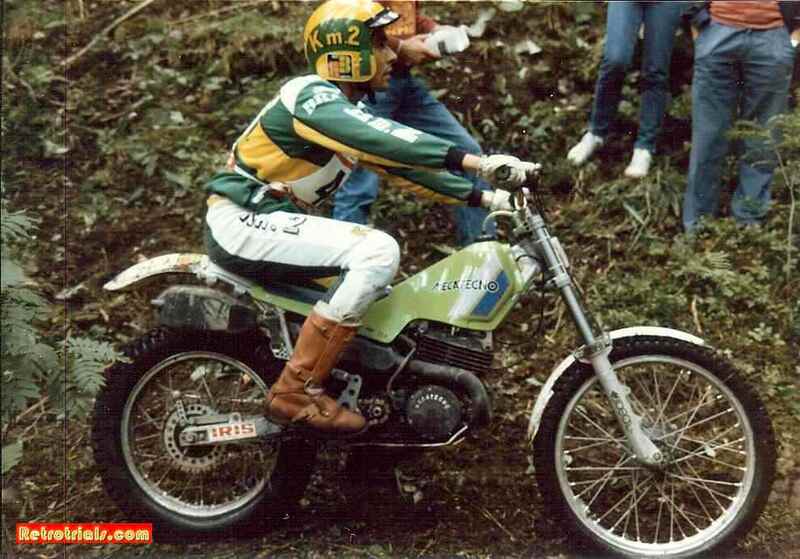 So you rode the Mecatecno MR326, was it a good reliable bike ? Not so much. I think there was something is good about it and something's not so good. Work was very experimental are they work with no money for development and no specialist tools. At this time begins Fantic and begins Beta and Mecatecno were starting at about this time and they had no possibilities. 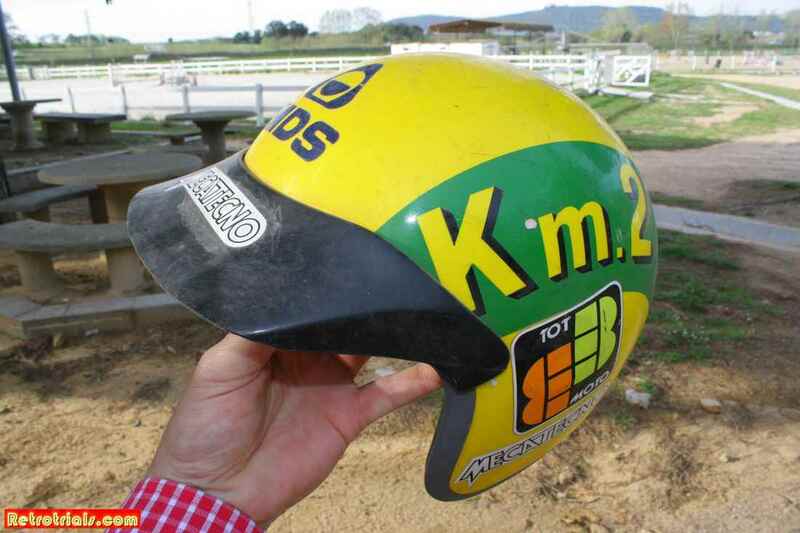 Did you think this at the time when you were riding a Mecatecno ? Did you look at the Fantic and look at the Beta and think this. Ha ha.? Yes of course. 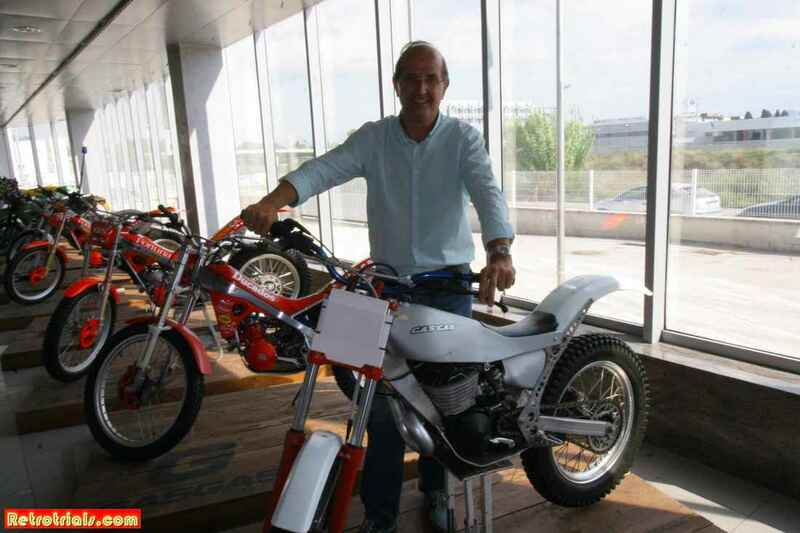 I looked at the other bikes and could see the development was much more advanced but I left Montesa after riding the 242 which have no power, I now wow, I was riding the Mecatecno with super power now, with this power I can win the World Championship, this bike had so much power. Was the chassis and suspension good ? The engine for me was the most poor for the game, it made a lot of noise, the clutch made a lot of noise, the engine was made in this little factory you see by you Joan Ruiz. He made the engine, all of it. I'm on tissot word, just have the parts from many different suppliers, it was nothing like Mecatecno, they made everything you see, Montesa for example would not make things like that petrol tank they would buy this from a supplier but Mecatecno made everything, it was made all in this small factory. On the factory Joan Ruiz with fibre, make the tank.